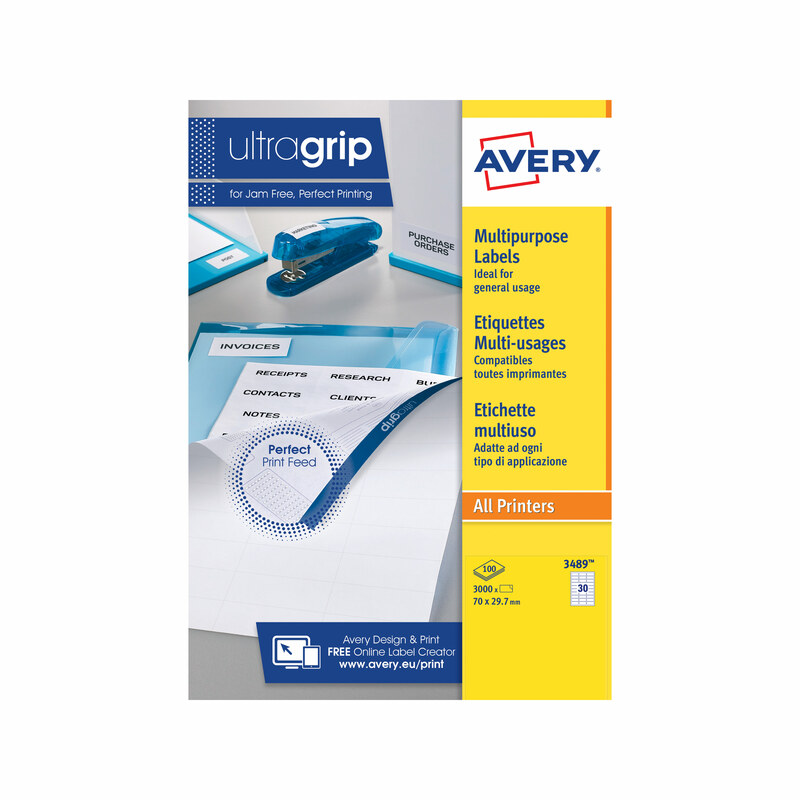 Avery Multipurpose labels are compatible with all printers including copiers, and now come with NEW UltraGrip™ varnish technology! 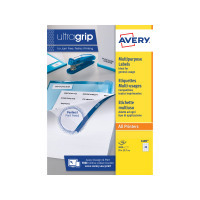 UltraGrip™ technology was designed to give you absolute confidence that you are putting only the highest quality product through your printers. 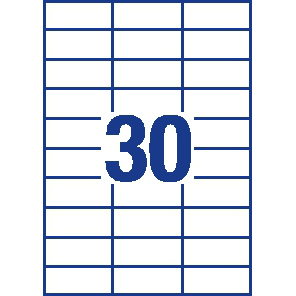 The blue bar on the top, bottom and sides of the back sheet have varnish dots to ensure the printer feeds the label sheet correctly. 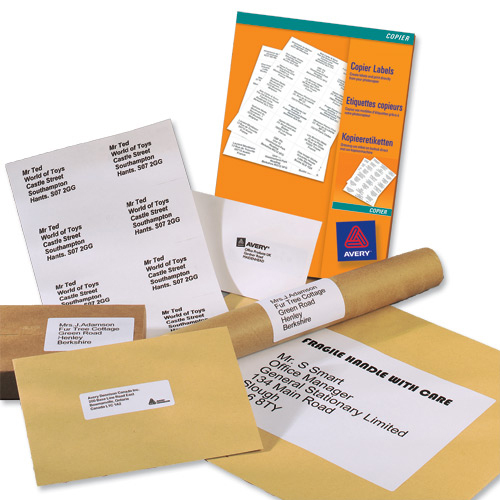 Printers aren’t perfect, so to ensure you get the best results, select ‘labels’ as the media type, and also use the multipurpose/bypass tray to load the sheets, as we have always recommended when using our labels. 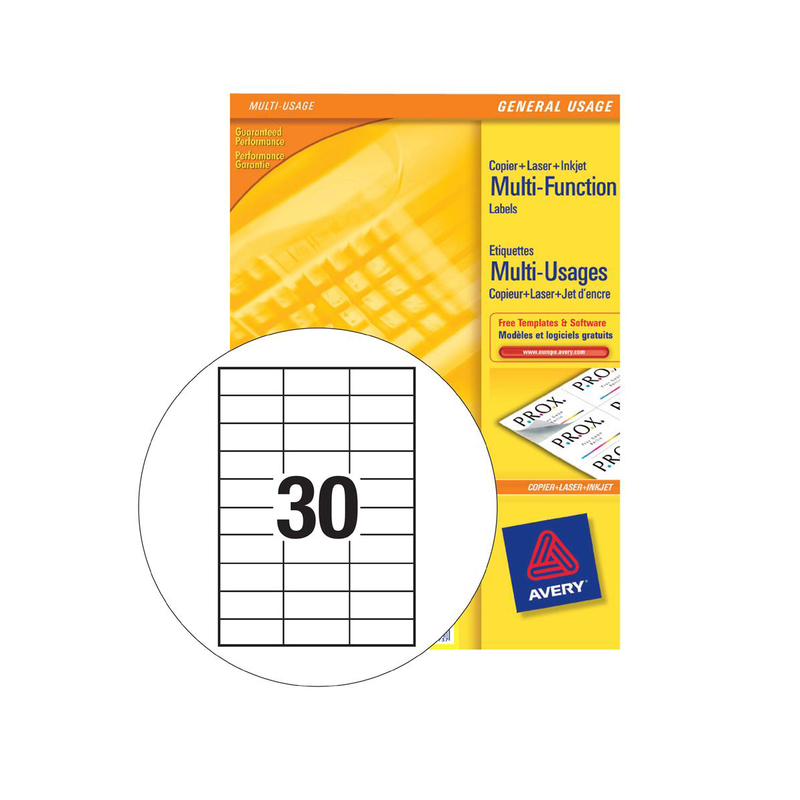 Print your labels with FREE Avery Design & Print online label creator.